This collaborative platform aims to bring together the actors involved in documenting, safeguarding, and sharing our cultural heritage through new practices for a better understanding of heritage objects. Archaeologists, architects, engineers, materials specialists, curators and restorers of cultural property, teachers, students, tourists, contribute to the daily knowledge and conservation of heritage artefacts. The need to identify a stable common denominator was born from the heterogeneous data produced by those observations. 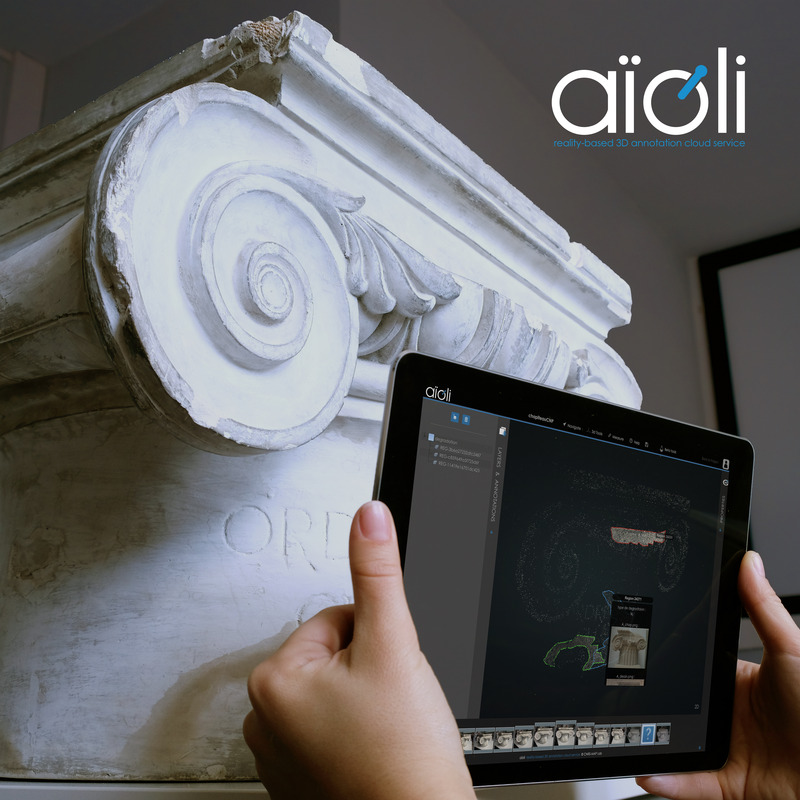 It is the starting point for the development of Aïoli, an application that puts the heritage artefacts at the heart of the process. Each user is thus able to directly annotate the object, whether it is a site, a building, a sculpture, a painting, a work of art, or an archaeological fragment, to the benefit of their peers. This approach creates a bridge between the object and the information produced by a given community, thus creating a kind of “digital epidermis”. The platform also enables a multi-temporal analysis, in order to allow a follow-up on the state of its conservation and possible degradation. From simple photographs, the application generates a 3D representation of the object, which can directly be enriched with semantic annotations or additional resources related to the object (texts, images, videos, sounds. . .). This service is based on two major technological developments: the democratization of photogrammetry techniques, which allow us to compute a 3D model by correlation of images, and the possibility of massively processing and sharing gathered data through the cloud. This cloud computing performance is linked to a specific development for multidimensional propagation of spatial semantic annotations. Through this propagation process, annotations are automatically reprojected on all the 2D and 3D views of the object (past, present, and future). 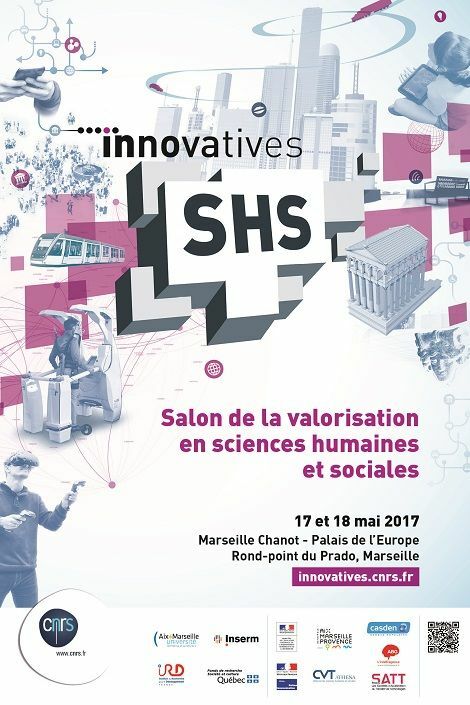 This tool, which is anchored in the development of citizen science, aims to create new methodologies for multidisciplinary work, and to put forward new scenarios of comparative and cooperative analysis of heritage objects. 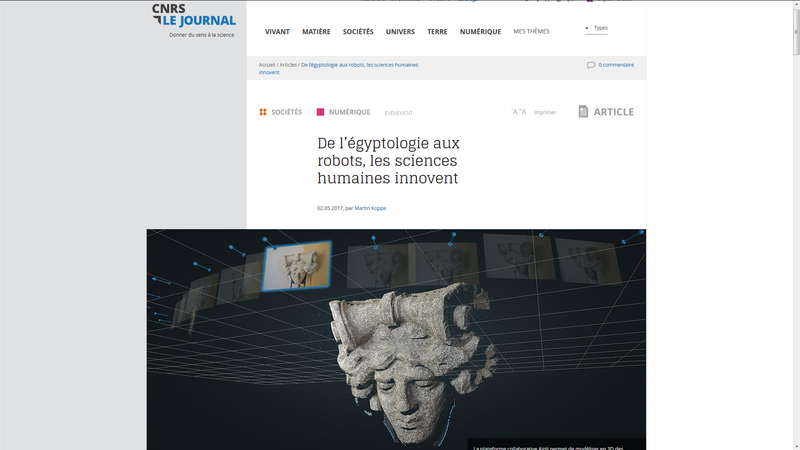 The Aïoli platform is developed in the MAP laboratory (Models and simulations for Architecture and Cultural Heritage), a joint research Unit of the CNRS (National Centre for Scientific Research) and the MC (Ministry of Culture), and is a continuation of the research projects TAPEnADe, Culture 3D Cloud, Monumentum, Fiat Lux. 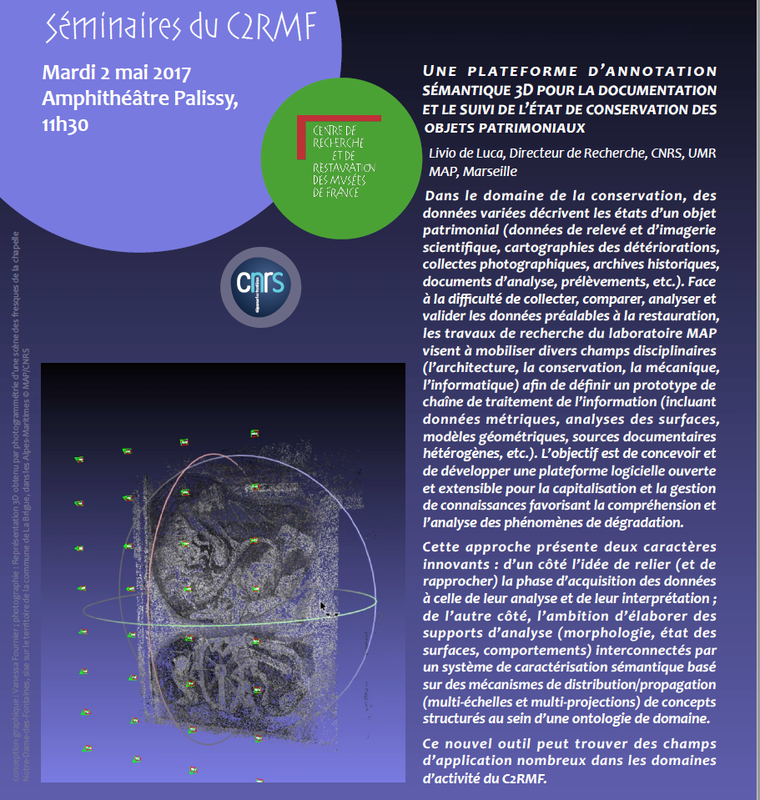 Some modules of the platform are developed in collaboration with ’ENSG (the French National School of Geographic Sciences) for the photogrammetric process and the LMGC (Mechanics and Civil Engineering Laboratory) for the mechanical behavior.